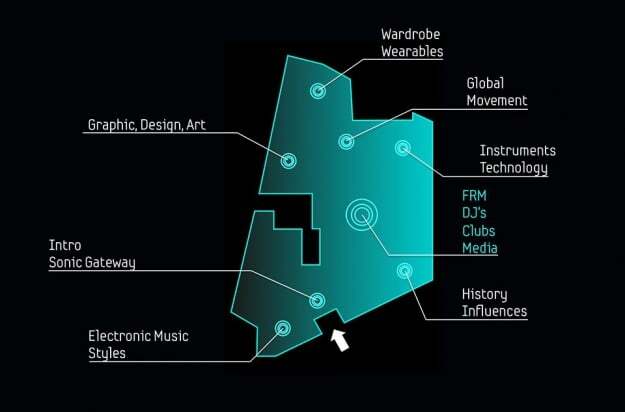 Widely considered a mecca of the scene, Frankfurt will get the world’s very first museum focused solely on the history and culture of electronic music. The city made the official announcement during Musikmesse, the world’s leading musical instrument and technology trade fair. The Museum of Modern Electronic Music or MOMEM is scheduled to open in 2017, further claiming Germanys position as the spiritual home of electronic music. The initiator of the ambitious project is scene-veteran Andreas Thomalla aka Talla 2XLC, who has held residency at the legendary club Dorian Gray and is one of the pioneers of the German Techno scene. Having been active in the scene for more than 30 years, Thomalla was the first person who used the term “Techno” to describe electronic music. The primary idea behind the project is to tell the story of the history and cultural relevance of the art form; essentially, a spotlight of electronic music legacy. Frankfurt has leased the space at the Children’s Museum to the MOMEM free of charge, yet the museum will be self-funded, without financial support from the city. The space will not be a museum in the traditional sense, but rather an interactive place to take a trip down (digital) memory lane, and obviously a center for all things musical. For example, one the spaces interactive features includes a full club experience, where three times a day the lights will be dimmed, rooms will fill with fog and the museum will turn into a temporary nightclub.